Note: On NNR today Samantha Bunten of NBC Sports & I previewed the NFC East. The podcast is on https://fryingpansports.com/radio-show/. Hundley could have been the 1st pick in the 2014 draft but decided to stay in school. He suffered this year from a lack of quality receivers and a bad line. He has played in a pro style system in terms of pass patterns although has not worked much under center. He has an NFL arm and anticipates throws fairly well. He reads college defenses well but will need work to adjust to NFL coverages. He is athletic and can run when necessary. He will be a value and be taken in the middle of the 2nd round. Like almost all QB’s coming out of college, he needs to improve his drop back footwork. He also has not seen many complex defenses in the Pac-12. Mariota will likely be the 2nd QB off the board. There is a concern if he can adapt to the NFL pocket style passer. He is a winner. He led his team to the Championship game. He has good touch with all throws and is accurate on short and medium throws. He has a quick delivery. He shows the ability to run when necessary and protects himself. He has not had the opportunity to show he has NFL arm strength. He was not required to do that in school. He has accuracy issues on long passes. Don’t assume Petty will have the same problems that RG3 had. Petty is much more interested in improving his game and less on building his brand. Petty has an NFL arm and a quick delivery. He is athletic and can avoid the pass rush. He has good vision and accuracy. He stands in against a hit and deliver the ball. He is inconsistent on long throws because of his footwork. He has no experience under center. He seldom huddles and has no experience in pre-snap reads. Grayson is a developmental QB at best. He has a very strong arm but no accuracy or anticipation. Winston has #1 ability on the field but will get a GM that drafts him with a top pick fired. He has played in a pro offense and can make all the throws. I would not draft him in the 7th round. He will be the face of a franchise and says all the right things but I don’t trust him. Strengths: Prototype with his physical makeup. Big, athletic and durable. He moves decisively well within the pocket, and displays elusiveness outside the hashes. He displays good intangibles- poise, savvy, toughness, leadership, and good vision. He delivers catchable balls beyond the second and third levels, while having great zip on the ball when delivering in tight coverage. Remarkably consistent in coverage recognition and displays good field awareness dissecting defenses. He displays great anticipation, instincts, and mental toughness within the tackles. He is remarkably competitive, and thrives on the big moment. Weakness: Has major character issue. With all the off the field transactions, i.e. shop lifting, sexual assault, and the incident on campus. Jamesis would be off the draft board of many NFL draft boards based upon those transactions. Jamesis will need to quicken his release, as he displays a long wind up release. He will need to develop better eye elusiveness, as he stares down receivers on his intermediate throws. Strengths: Has good size, athletic ability, a good frame to go along with having a tactical work ethic and highly desirable character makeup. He is vastly elusive outside the hashes, and displays enough athletic ability to separate from defenders within the Oregon Offensive System. He is remarkably accurate within short proximity passes, and looks to have a catchable ball with a tight spiral. He looks to be better throwing outside the hashes when pressed to do so, and having a high completion percentage on balls beyond the third level. Weakness: Does not come from a traditional offense. He struggles throwing across his body, while also struggling to identify coverages. Mariota is a run first quarterback, and struggles with going through is progression. He is highly inconsistent; he will make a tremendous throw on one possession, and then follow up with a blunder of a throw the next. He struggles with vision and awareness, as he looks to be a one read player. Mariota will not take chances vertically, as he struggles with accuracy beyond the second level. He will need to develop natural quarterback reads, as the offense he ran in college was all pre-determined. Strengths: Very well built athlete that displays good arm strength to zip the ball in tight coverage, while also having a precise touch to throw the deep ball. He looks to have a quick release and reliable vision to process his decision making out of the shotgun. He displays good elusiveness and pocket awareness, while also having adequate acceleration to separate from defenders. Brett displays good mental toughness that should translate into moderate success at the next level. Weakness: Most if not all his snaps came out of the shotgun, which made most his reads pre-determied. He doesn’t possess the elusiveness to evade defenders from the pocket, and lacks straight line speed to separate from defenders beyond the first level of defense. He will need to improve ball placement on second and third levels throws as his balls appear to be not in relation with the receivers. Strengths: Tall athlete with moderate build and muscular frame. He does a good job in being fundamentally strong with his delivery of the ball. He possesses good arm strength and can make all three throws adequately well. He comes from a pro-style offense which he appeared to have good field vision and command of the offense. He displays calmness and looks to have command of the offense, along with a solid chemistry with his receivers. He displays a very accurate ball, along with having a desirable touch for the vertical ball. His biggest attribute is his ability to throw through small windows with a touch of velocity to equate to success. Weakness: He is not overly athletic, and has very slow feet. He looks to struggle gaining depth in his drops, and struggle to maneuver away from on-coming defenders. He will hold on to the ball too long and takes too many chances forcing the issue of deliverance. He has a history of telegraphing his throws, and relies too much on his arm strength. He appears to be very sluggish if not sloppy in mechanics, and struggles to follow through with throwing motion within short to intermediate throws. Strengths: Solid size and arm strength, and a very reliable and accurate ball placement. He throws a very catchable ball and thrives on the vertical game. He looks athletic enough in the pocket, and has enough athletic ability to be successful outside the hashes as a runner or thrower. He looks to have precise accuracy within short proximity, and has good pocket presence to dissect defenses. Weakness: He looks to have most of his reads predetermined from the sidelines. He locks in on receivers, and doesn’t do a good job in eye manipulation. Most of his snaps came from the shotgun, and struggles to quickly identify defensive fronts. He will struggle to avoid on coming rushers, and appears to lack the foot speed to separate from level one defenders. That is what we think. Tell us what you think by commenting here or tweeting me @NNRonDSN. Kelron Sykes is a regular guest on NNR and played at Oregon State. He did scouting for the Jaguars as well. Professional and college sports teams face tough times ahead. Welcome to the first season of the Los Angeles Jaguars. What about Jacksonville? The city and state cried poverty and neither government would pony up any money for a new facility or even a decent makeover. The people of the city also didn’t come to the games so the Jags left. Thank heavens that has not happened yet but it could happen soon. Teams in every professional sport are struggling financially. Part of that is their own fault. They spent too much on players when things were good. Now that the economy has turned down, they are still spending more than they can afford. They are also notoriously bad marketers. Some teams got a bump in attendance by building a new facility with state and or city help. Those that did got only a temporary bump no matter how nice the new digs were. Within a year or 2 they were back to seeing a lot of empty seats at every game. But in addition to the same old attendance they had a boat load of debt. With the government borrowing so much money, eventually interest rates will have to go up. The debt load teams are carrying will sink them and for the first time even the NFL could find no takers with enough cash to bail out the teams that will go belly up. The Columbus Blue Jackets of the NHL are a perfect example. They signed a contract when they were created to play in a privately owned arena because public money couldn’t be approved by either the city or state. Now they are facing empty seats and financial hardship because they say their rent is too high. The problem was while the CBJ was building its arena down town, the Ohio State University was also building a new multi-purpose arena on campus just a few miles away. The old OSU arena is also still in use but is empty most of time. The CBJ is asking the government to take over the building so that they can stay in Columbus and get a lower lease. Both the city and state are in much worse financial shape then they were when the building was proposed and are in no position to buy anything more costly than a box of paper clips. The owners of the building are not going to be able to sell the structure because no one is going to buy an arena where the only lessee is threatening to leave. If things weren’t bad enough both the NFL and NBA face possible strikes/lockouts soon. The NFL will likely survive but the NBA could be devastated by a lockout. The NBA is riding a down wave of popularity and could suffer like the NHL did with a significant lockout. The NHL lost its major TV deals and is now stuck with games on the Verses Network. Both leagues are trying to reduce the percentage of revenue dedicated to the players. The NBA is also struggling with guaranteed contracts. The NFL is trying to avoid the mistakes of the other leagues like guaranteed deals. The US financial situation is so bad that the NFLPA has come out in favor of a salary cap which just over a year ago they said they would never allow to be part of any new Collective Bargaining Agreement. They don’t like the idea of capping the amount a team can spend but desperately want to establish a minimum that a team must spend on players. College teams are struggling as well. At Ohio State the basketball team was in a position to insure a share of the Big 10 title. And yet there were more than 1,500 empty seats hours before the tip off. Schools that have had no problem increasing the tuition 5 times the rate of inflation will drop any sports program that is not self supporting like it was a stolen knockoff Prada purse. Professional teams will go out of business. Players on those rosters will be distributed to the teams that survive. Several NBA teams will wither on the vine if they lose the key player upon which the attendance is based. The Cavs for example will be in serious trouble financially should LeBron James leave. Even the NFL has teams that are in serious danger of disappearing. Teams like the Bills, Jaguars, Panthers, and Rams regularly fail to fill their stadiums. When the TV money goes down, as it will have to if the US economy continues to struggle, those teams will find it hard to make payroll. There is also a down side for any business that depends on attendance at games for revenue. They will be hurt in cities that keep their teams. Where teams are gone the businesses that depend on them will be gone as well. So what can fans do? Perhaps a better question is what should fans do? There is not much fans can do. However, I have some suggestions. If you can afford to go to games and your team is providing quality entertainment, do it. That is great. Even if you can’t afford the tickets you can call their radio and TV sponsors to thank them and tell them how much you appreciate their support of your team. Let them know that you will use their products or services because they support your team. Then call the team and the radio and TV stations that carry their games. Let them know that you called the sponsors to thank them. Thank the team for doing the right thing and the station for carrying the games. Call your sports call in programs and suggest the other fans do the same thing. It will help insure that the stations will continue to carry the games and the stations and team will continue to enjoy success. If you find that the team is not showing any interest in becoming competitive, call the team and let them know why you aren’t buying their tickets. Call the stations that broadcast the games and let them know that the community needs the station to put pressure on the team to get it’s act together. Call the key sponsors to ask them to ask the stations to put pressure on the team to do better. Tell sports radio call in programs what you are doing and ask the other fans to do the same. Colleges react to just one thing–money. Again the stations carrying the games are a pressure point just as the pro teams above. But there is one other thing that can have an effect–Donors. Call your sports radio programs and suggest that donors contact the presidents of the college to tell them to give their sports more emphasis. That will not work often but when a donor calls a president, he or she gets attention. A few big dollar donors calling will change the attitudes of the coaching staff and the culture of the team. Those fans that become proactive will find that things in sports can change based on public opinion. Too bad things don’t seem to work the same way in Washington D.C.
No professional football in Los Angeles? There will be soon—maybe. The United Professional Football league may be coming to a town near you. Right now there are franchises being organized in LA and Los Vegas with other promised soon. Commissioner Michael Huyghue has NFL experience when he served as the Vice-President for personnel for the Jacksonville. He has been joined by former USFL Oakland Invaders minority partner William Hambrecht, a Wall Street investor. Tim Armstrong, a senior executive at Google is also reportedly involved. The league plans to play on Thursday and Friday nights in late summer and fall with a championship game in late November. UFLAccess contributor Fran Stuchbury reported that Jim Fassel will be the first coach of the Las Vegas entry into the United Football League. Fassel, the former New York Giants head coach, lends credibility to the new league which is something that any new effort needs. The league is looking to start small with only 6 franchises in its first season. Among the cities under consideration are Hartford (CT), Las Vegas, Los Angeles, Monterrey (Mexico), New York, Orlando, Salt Lake City and San Francisco according to OurSportsCentral.com. The league expects to announce the final list of teams next month. According to an interview with Commissioner Huyghue on UFLAccess.com the league is expecting to have a television network deal and has lined up investors for the six planned franchises. The current plan is to price tickets at less than half of an NFL one. They are planning on using existing stadiums and Huyghue also said he has identified a pool of 300 players. I think the UFL would be good for pro football. There are a lot of players that have potential but are not ready for the NFL. With NFL Europe folding there is a need for a developmental league. The USFL proved that football can be successful in smaller markets like Birmingham and Orlando. Where the USFL went wrong was to try to outspend the NFL for top talent. There was insufficient revenue to support that level of salary expense. It looks like the UFL is starting small which is smart. There is a market. 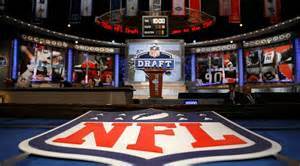 There are players that come from small colleges, Arena Football, or were never able to become eligible for college. The key is local support in paid attendance and a decent national TV contract. If Huyghue can pull those rabbits out of his UFL helmet, he has a chance. I know I will watch if it is on Dish Network.